Where do you start really? 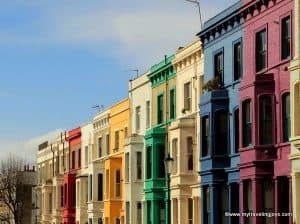 Our top tips on how to search properties in London will help you narrow down your search, identify properties that suit your needs, and how to tell if the asking price is too high. There are some great property search sites in the UK: Zoopla, Right Move, Prime Location and Move Bubble are our top choices when advising people who don’t qualify for our service, but still need help with finding a flat in the UK. You can search by area, specifications (bedrooms, baths etc) and by price. You will have to either complete the webform to contact the agent directly, or make a note of the code and contact the estate agent directly to set up a viewing day. Top Tip: If you find a property that you love and absolutely have to have – move fast! If you find a few properties that you’d like to see, and they’re from different agents, you’ll have to set up viewings with each one, usually over a few days or weeks. Lancaster Road in Notting Hill. The new London Relocation property search portal works similarly to any of the large online search sites in terms of volume. We receive all the properties directly from the agents themselves (check out our Agent Network) and you are able to search by specification, details, area and price. HOWEVER, once you find a few properties that you love, you get in contact with our team and we set up a Viewing Day for you. It doesn’t matter if you have chosen 5 different properties from 5 different agents in London… We get in contact with the agents, once we have prepared your Needs Assessment, and your brief, along with your choice of properties, it’s then sent directly to the agent. We make sure that you’re educated on price – remember we don’t take ANY fees from the agent, only from you. It’s in our best interests to get you the lowest price possible. Even if you don’t make use of our flat-finding service, we’re more than happy for you to use our new property search to get an idea of what is on the market.